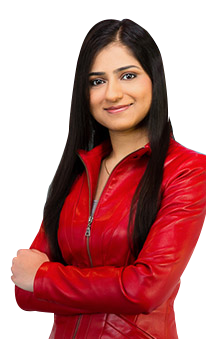 Gulshanpreet Brar is a 2015 graduate of PACE’s Human Resource Management Diploma program. Originally from India, Gulshanpreet decided on PACE because it was the only program that offered a fast-track, post-graduate education with a unique blend of courses that suited her background in commerce. Gulshanpreet quickly learned at PACE that she could gain more from those around her than she could from any textbook—whether it was the diverse perspectives her classmates brought to a project, or instructors sharing feedback. “I learned how to be progressive and how to achieve success by working together,” she says. Teamwork has proven to be essential in Gulshanpreet’s position at SkipTheDishes, where as a recruitment associate, she’s now building a team of her own. PACE gave her the necessary skills—such as interpersonal communication and problem solving—to recruit and train employees for the growing company as it expands across North America. She also credits the diploma program’s practicum for giving her valuable Canadian work experience in her field.